!!! Central district with fresh air and surrounded by nature!!! 2-bedroom apartment at Hilltop Green - Residential Palace with 2 balcony of mountain view. Spacious and sunny living room, 2 bathroom, a large walk-in hall. The apartment is fully farnished and equipped. 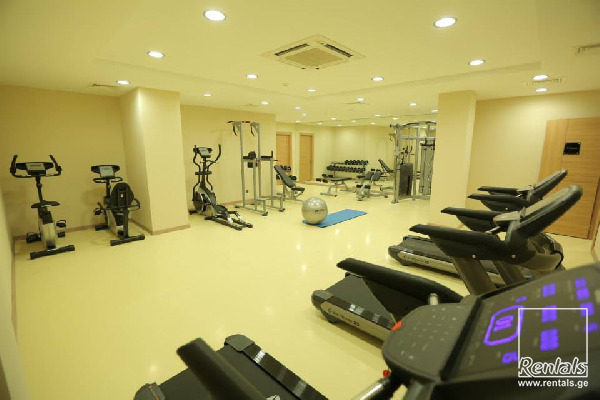 Complex is equipped with: indoor pool, sauna, fitness centre, 24-hour security, shuttle service, garbage removal service, terrace on top floor and playground for kids. Hilltop Green is in the central part on the mountain. Here you are not disturbed by noise, traffic and polluted air.